Angelo Badalamenti, the italian-american composer of most of David Lynch film's scores, has something to prove in this album of dark new age music. 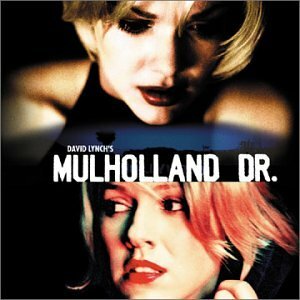 He can dismember his music out of Lynch's work and create something completely unique, even when the two most beautiful women ever put together on a film are on the album cover. Badalamenti uses very simple melodic lines and doesn't fool around when he wants to sound scary and uncomfortably familiar. He knows he's representing dreams into sounds, and those dreams aren't the usual ones but Lynch's. Laura Harring and/or Naomi Watts are the lead ladies in a plot so complicated it'd be impossible for me to describe it, you must be the judge and at some point, the narrator. As in the music, you take the lead.